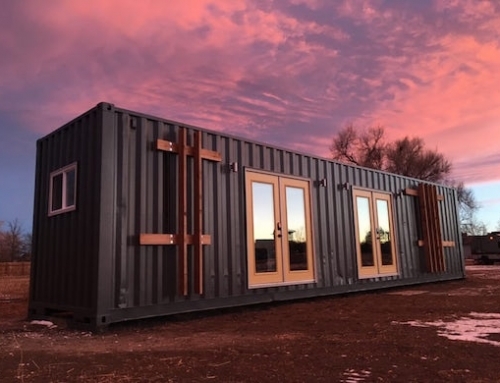 Recent Daniel Sokol sent me an email to share what he’s doing with steel shipping containers for a New Hampshire-based company called LEED Cabins. He can convert a 20-foot unit into a small, comfortable home in as little as 25 days from $15,000. Or he can build a bigger home with adjoining containers from about $40,000. If you’re looking for something that’s cozy and livable, perhaps this is the way to go – particularly if you’re off the beaten path or in need of something that’s off-grid. Available options include a composting waste system, gray water waste system, solar photovoltaics, etc. 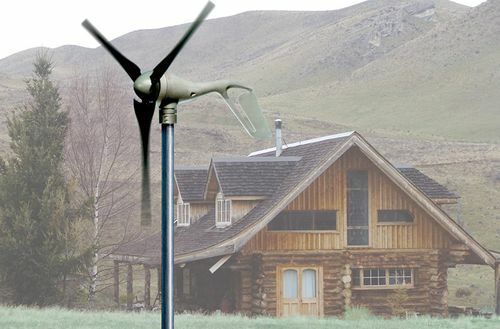 LEED Cabins intends to build these homes as green as possible, depending on client needs. Products used in these homes include radiant floor heating, FSC flooring, energy efficient windows and doors, LED lighting, recycled glass mosaic tiles, “green” insulation, and no-VOC coatings. 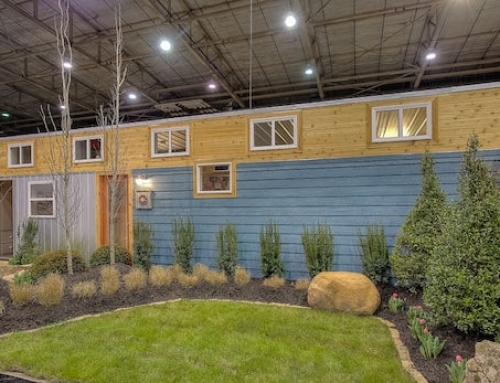 [+] More info on LEED Cabins from New Hampshire. Cool? Yes. LEED certified? Doesn’t look like it. 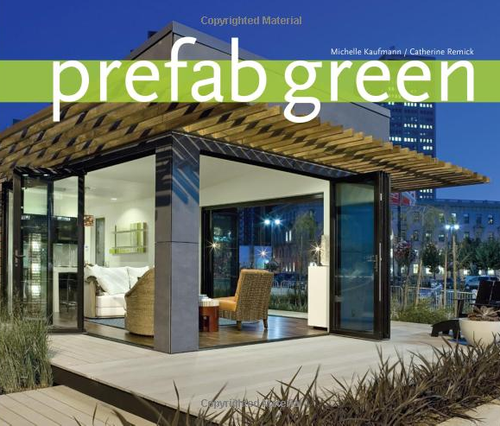 In fact, I’d say that naming the company/product LEED Cabins likely breaks a couple copyrights of the USGBC. Also, it would be a nice if they went into any detail on the systems involved. Radiant floors. Ok, how? Hydronic or electric? What’s the R-rating and makeup of the mysterious ‘triple ‘green’ insulation? Where’s the floorplans? I asked company president Dan Sokol about LEED aspects. He tells me he can help purchasers seek LEED certification for their projects. Otherwise, I think using the term LEED may be questionable. I can buy an motorhome for the same price. I should call it a transportable LEED home and resell them. i would like to see the paperwork on this project. What’s your name – half snitch, half architect? The average person would not care to “hate” on this persons work. Judging by how people like you work you most likely know the person being hi-lighted. Pathetic. Being “Green” in NH isn’t easy. Recycling waste isn’t available or required for industrial space – sorting and disposal is a huge expense. Getting green certification doesn’t seem worth it when my business practices (waste, materials and sourcing, energy efficiency, etc.) exceeds current standards. I am clean and green and keep an immaculate shop. The container is toasty warm in winter and cool in the summer and putting 2 or 3 together makes for an interesting living environment. I applaud your efforts, and creativity Mr. Sokol. I’ve seen alot of container homes being built all over the world. 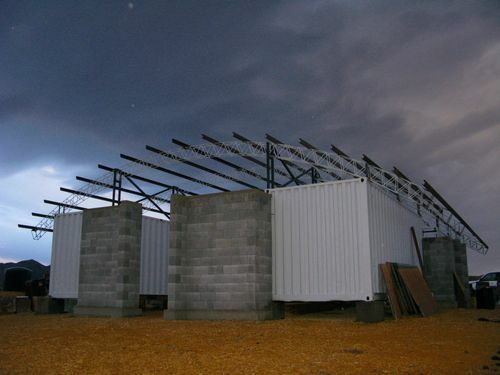 Some as simple and elegant as your single 20′ unit, some consisting of 10+ 40′ containers. I only wonder if you’ve ever considered using 40′ containers instead of 20′. it’s more common, and sunch an increase in floor space. Hi Daniel, I can appreciate your effort. I like your note on recycling. Some people don’t get it that certain recycling efforts can have negative effects such as creating more pollution than if those products weren’t recycled. No winners there. I would love to see someone such as yourself focus on making a truly healthy, affordable living space. It probably wouldn’t be very “green” at all, but there is a underserved and fast-growing market. Unless we all just want to punish ouselves by re-introducing (some) toxins into our body and the environment, let’s build healthy first (and it isn’t easy).Someone will be first to introduce a truly less-toxic alternative home and probaly make alot of $. The market’s wide open-it could be you! Especially since you don’t seem to have the ‘tude of those who would rather criticize you than see the good. GWG, Between sorting, recycling and using as many recycled and locally acquired products possible, the containers are less of an impact on the environment especially when installation is included in the analysis. The most difficult toxins to eradicate (or not use) are the VOC’s from processed woods and adhesives (excluding cutting, welding and fabricating the corten steel – I don’t trust the labels inside a Chinese made container telling me what compounds are used in the paint – I’m in a full Tyvek suit and respirator when doing this type of work). The margins aren’t good in this business and the economy doesn’t help either. Hope this was helpful. 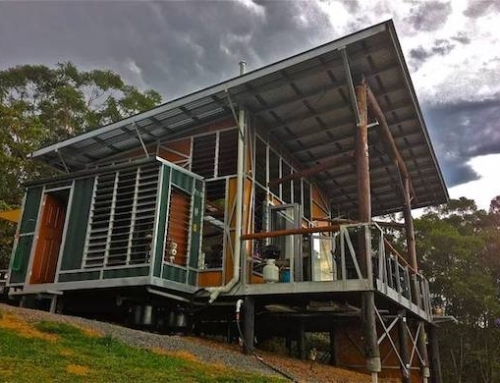 To Daniel Sokoi, don’t listen to the critics, these containers make great living spaces, one room of our recycled house, and the third wall for two rooms is a container. It houses everything of value, and acts as a buffer to the western sun here in Northwest Arizona. Once insulated the inside temp stays between 55-65 year around. that is with 19 degrees in the winter and 110 in the summer! I’ve been thinking of container living for quite some time. We have the coolest new container office building here in Providence. I’d love to see someone do a similar project but for residential rather than commerical. My question is about a single residence. How much opposition is out there about do this in the Southern New England area? Zoning hassles, Community oppostion, code enforcement? 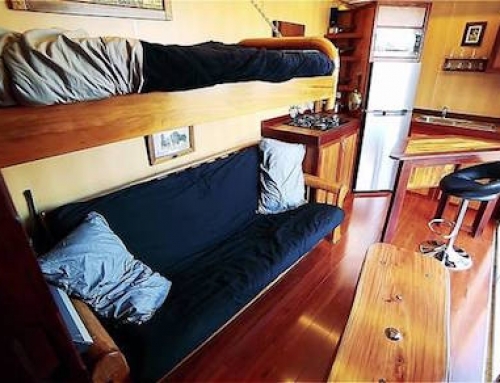 Opposition to container homes is widespread but their acceptance is gaining. Zoning and planning is a problem especially due to the minimum sq/ft requirements for a single family and multi-unit homes. 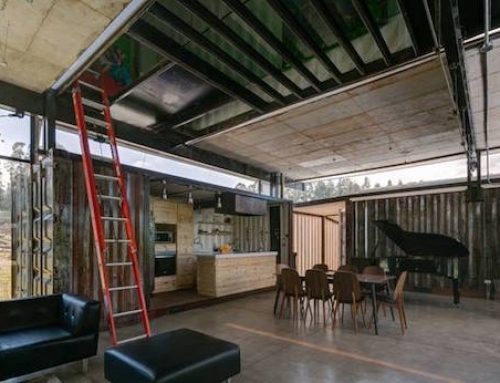 This defeats the purpose of container living: small, well highly efficient, well-designed, off-grid (partial) space. Two 20′ containers creates a nice living space of only 320 sq/ft. – a bit tight but livable (esp. when a deck/outdoor space is considered). Municipalities like their fees, permits, inspections and especially the taxes on utilities. Imagine the shortfall if everyone had solar/wind power and didn’t need a utility? That is a huge loss of tax revenue. Luv luv luv this…keep up the good work. I hope to live in one someday. Can you bury these with the right membrane on the dirt side? Most earth berm/undergrounds are concrete – I’m thinking the steel might be more of a moisture problem and then rust . . . Per http://www.runkleconsulting.com/Shipping%20Container%20Houses/ShippingContainerHouseEngineering.htm and other resources that come up via Google: no, you cannot bury shipping containers. Though you could stack them. You cannot bury containers – they’re not suited for the environment no matter how much insulation is used (defeats the purpose). I shut my CA operations due to resistance from local planning/zoning people. In the desert and unincorporated areas it’s a different story (no inspectors but they use google satellite to nail people who build without permits). Public acceptance is growing and, personally speaking, I think they look really nice when done properly. I hear comments such as “why would I use steel here in the N.E. when wood works fine.” Woods rots, attracts mold and insects and requires maintenance. You can’t educate everyone. Thanks for your work with containers and commitment to affordable, recycled and sustainable living. My question is in regards to the prep work you do when you receive a used container. If the wood floor and paint are toxic or of questionable material, how do you strip and prepare the container to become a house? Love the concept and price and am considering it myself. Just need to make sure it’s healthy. Keep it up.